Watch to see the EVO Hot-Stop Laptop Kit. Watch to see the STANDARD Hot-Stop Laptop Kit. 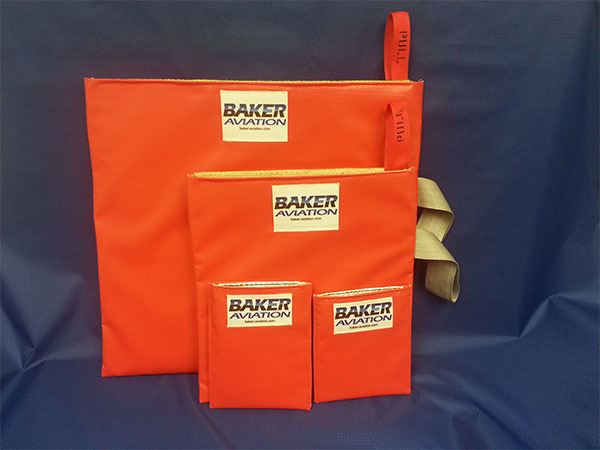 The HOT-STOP L Fire Containment Bags are designed to contain large laptops (25” x 25”), standard laptops (20”x20”), tablets (14.5” x 15”) and large and small smart phones in order to enhance aviation fire safety. 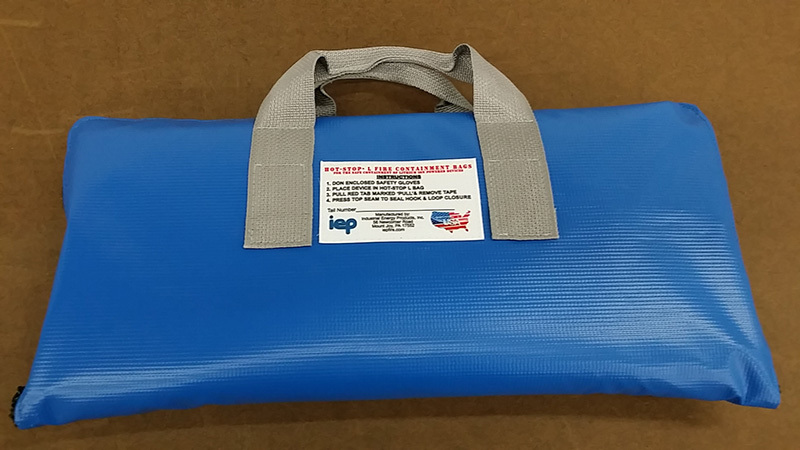 Containment bag covers for defibrillators are also available. 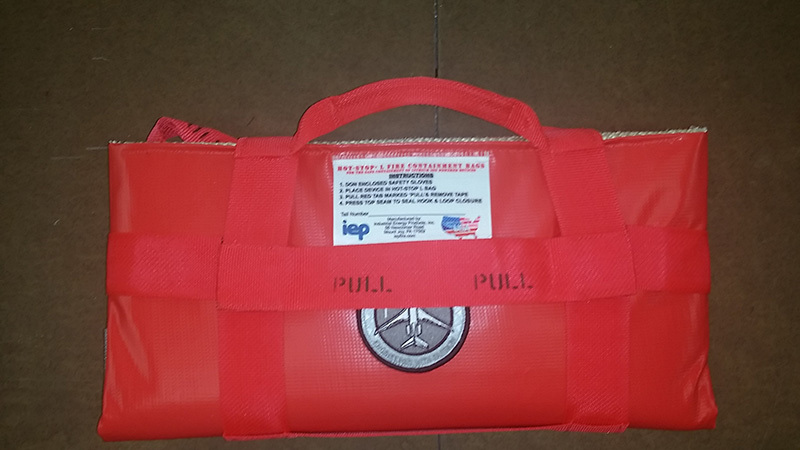 The HOT STOP® L was demonstrated by IEP Owner Thomas Connolly at the FAA Atlantic City Tech Center in 2007, along with several other candidate products. 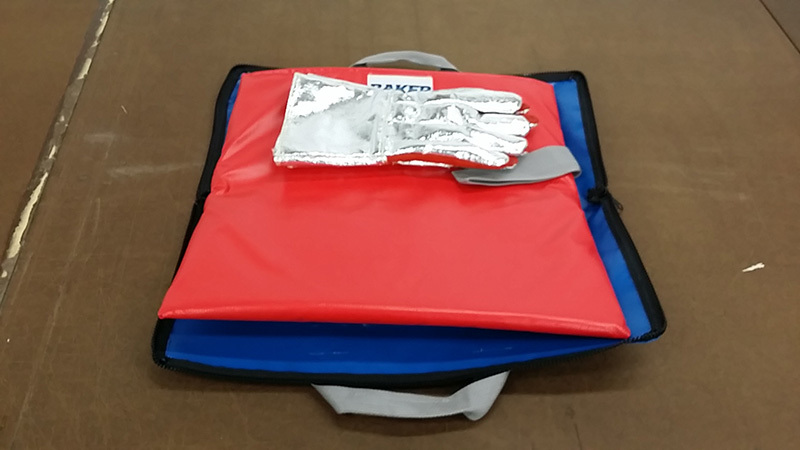 At the aviation fire safety demonstration, the Hot Stop L was the only one of the fire containment kits proven to contain laptop fires and met all performance qualifications at the round of demonstrations. 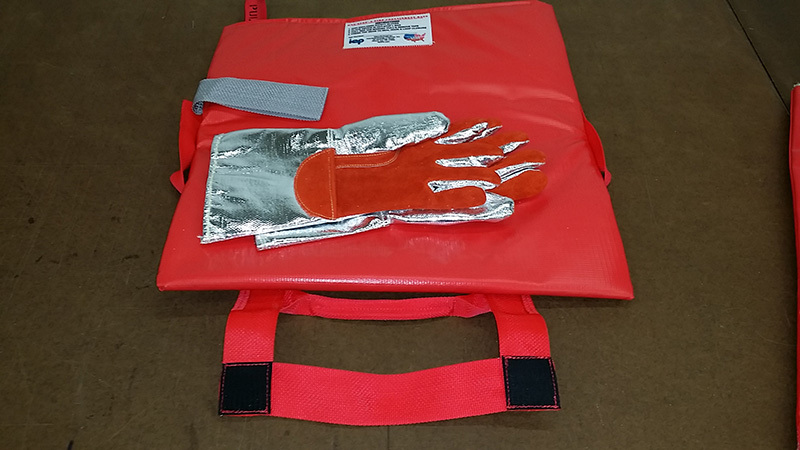 The HOT-STOP L Fire Containment Bag Kit is supplied with fire gloves in the XL Laptop, Laptop and Tablet Kits. 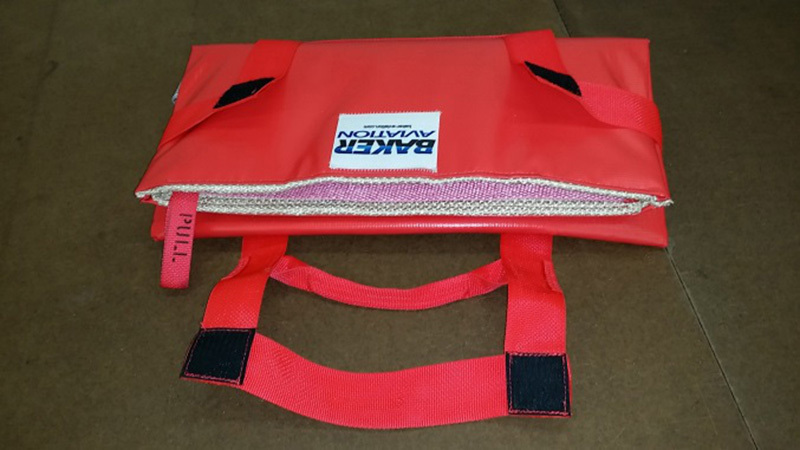 Optional zippered storage bags and strap slings are available. 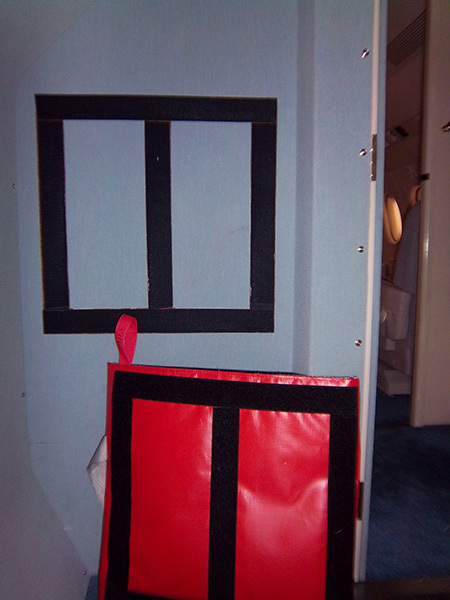 Storage bags and slings reduce the storage space required by 50%. PED is now contained. 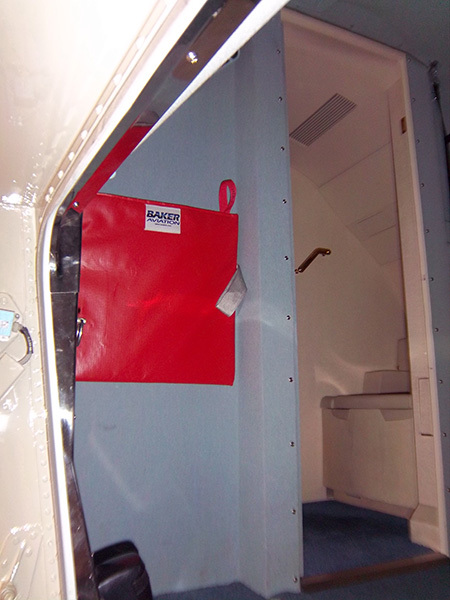 The bag will contain sparks and flames while reducing smoke in the cabin.